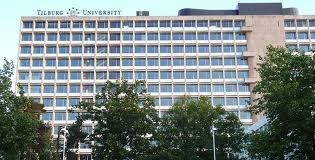 For the academic year 2013-2014 Tilburg University has 40 scholarships available for excellent international students who are admitted to a Master’s program at Tilburg University (MA, MSc or LLM). Tilburg University strives for a balanced participation in terms of nationality. Tilburg University Scholarships for Academic Excellence are awarded for one academic year. Candidates applying for one of the Research Master programs will have to apply for the scholarship again for their second year of their Research Master program*. Send the Scholarship Application Form together with your application for the Master’s program before the Scholarship deadline of 1 April 2013. Please note that students starting their program in February 2014 are also eligible for the Tilburg University Scholarship for Academic Excellence, but do need to meet the deadline of 1 April 2013. All Tilburg University Scholarship for Academic Excellence applicants will be informed about the outcome of the Scholarship Selection Committee of their School by May 2013. Students who are granted a Tilburg University Scholarship for Academic Excellence must comply with and confirm in writing their agreement with the terms and conditions attached to the scholarship prior to the granting of the scholarship. Please note that the Scholarship Selection Committees usually receives more applications than it has grants, which means they can only select a minority of excellent applicants who will receive financial support. Strong candidates who do not make it to the first group of Scholarship candidates, will be put on a list of standby candidates. The School will notify these students as soon as possible – but not later than 1 August 2013 – in case a scholarship candidate withdraws his application. * CentER candidates are not eligible for a Tilburg University Scholarship for Academic Excellence. Demikianlah informasi mengenai Tilburg University Scholarship for Academic Excellence, Netherlands semoga berguna bagi anda.